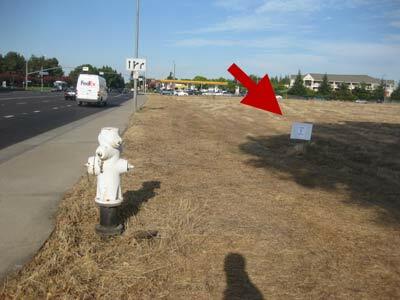 Recently a little strip of office buildings and cafes opened up at the southeast corner of Zinfandel and White Rock Road. Due to the shape of the buildings, the businesses inside are mostly hidden from passing cars. 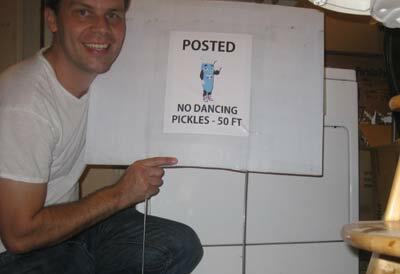 This has forced one of the businesses to initiate a drastic step: They hired a dancing pickle. 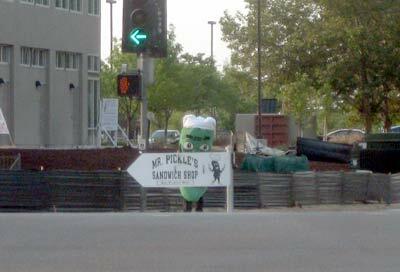 For hours and hours every day, a man (or perhaps lady) from the Mr. Pickle Sandwich Shop dons a pickle costume and hustles up business by dancing with an oversized sign. Mostly he stays to his corner, but sometimes he gaily crosses the street and dances on one of the other corners. He's been at it for at least three weeks. This has certainly caused a raised awareness of the Mr. Pickles sandwich shop. I love it and I hope he keeps dancing there forever. 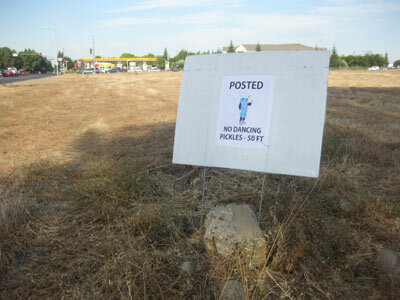 Tragically, it appears that some curmudgeon on the Rancho Cordova city council has begun to clamp down on this flamboyant display, erecting a "NO DANCING PICKLES" sign across the street. I mean, who cares if it is really close to an elementary school? He's done his time and he isn't hurting anyone. 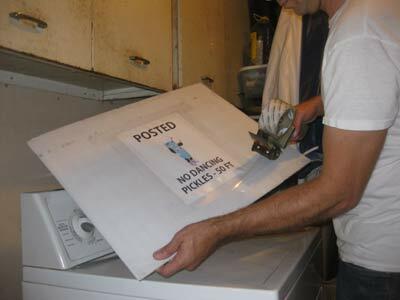 I placed the sign across the street, hoping that it would take a few days for the pickle to learn he had been blackballed from the north side of the street. I planned to avoid a confrontation by striking at dawn (8:30 am), but the pickle was already up and at it. Luckily, he was walking in the other direction. And I was like 1,000 feet away. 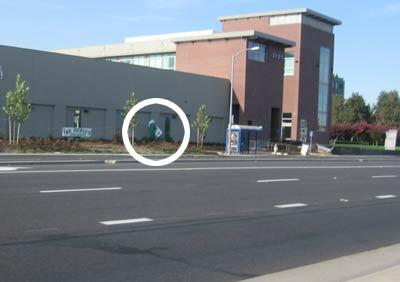 This might look like a terrible place for a sign, but during the day, this long right-hand turn lane is jammed with waiting cars, nothing to do but read signs and ponder the existence of dancing pickles. DISCLAIMER: I like the dancing pickle. The sign is actually meant to garner support for the dancing pickle by creating the illusion of an anti-dancing pickle turf war.